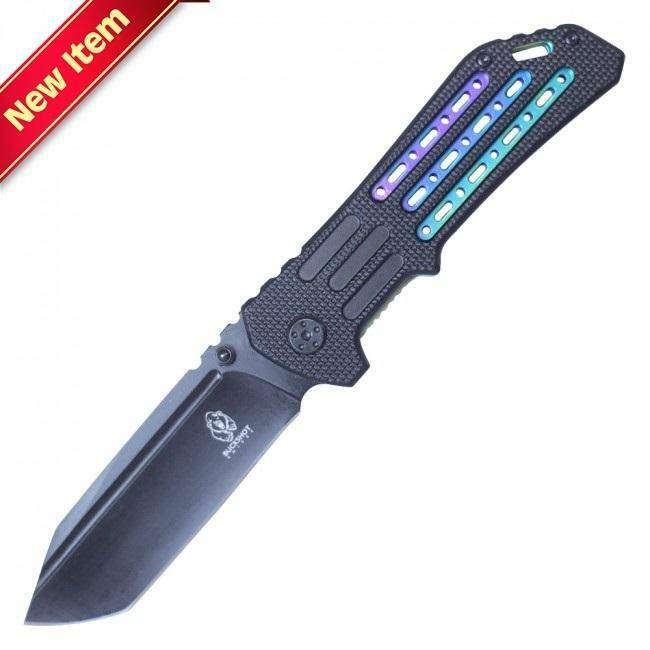 Buckshot Knives "Intrepedous" Assisted Opening Linerlock Folding Knife is black with color changing tri-rainbow accents. 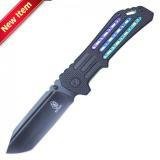 ABS composite handle with powder coated 3 1/2" black stainless steel blade. 8 1/4" overall length. Ambidexstrous thumb studs. Metal pocket clip.